The Sigma 50-100mm is a telephoto lens designed to be used on aps-c or Super 35mm sensors to replicate the same look and feel of a 70-200mm on a full frame body. 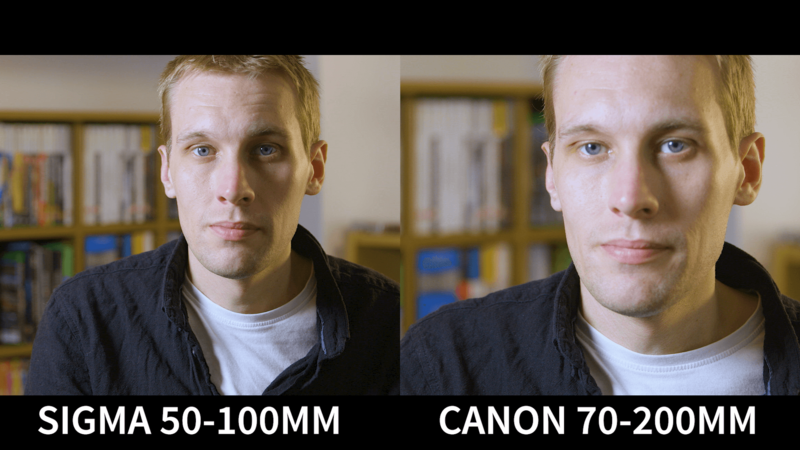 I use the 70-200mm on my Canon 7D Mark II and my C100 and in essence, I’m not using the lens to its full potential. It was designed for use on a full frame sensor. That doesn’t in any way mean that I’m not getting sharp images with beautiful colours because I am. I shot 95% of my short film Go With Him with this lens. The sigma 50-100mm is a lens that has intrigued me and I recently tested out the sister lens, the 18-35mm and loved it but couldn’t quite bring myself to part with the cash for it. 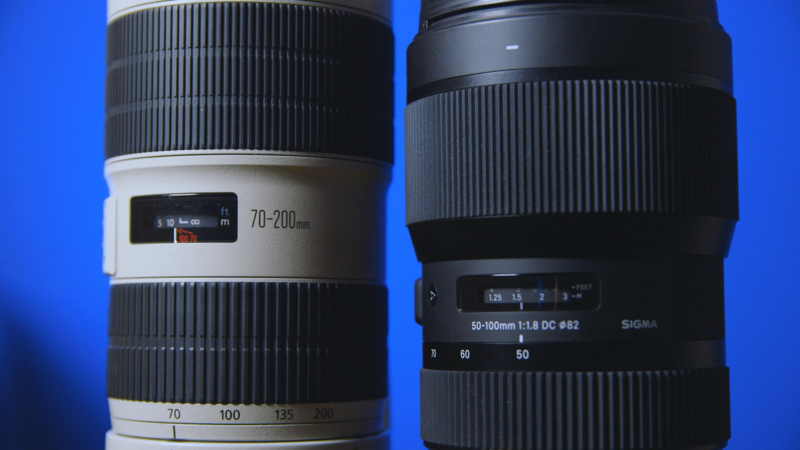 So How does the 50-100mm compare? 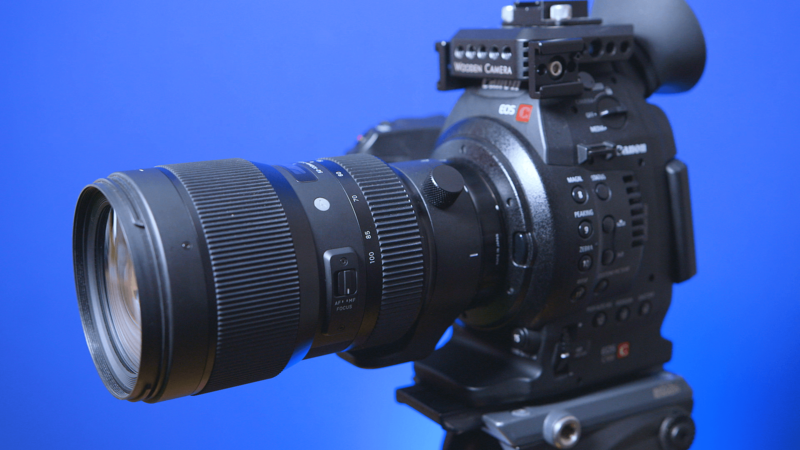 The Canon is bigger and bulkier but that’s to accommodate it’s longer range and image stabilisation which the Sigma doesn’t have. 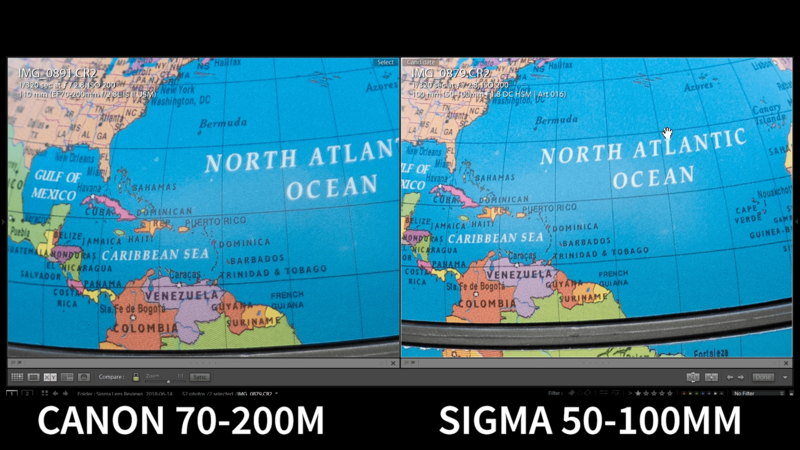 The sigma has a nicely damped zoom and focus ring just like the 18-35 and is made from the same high-quality materials. It’s got a matte finish which I’m sure will get scruffy over time but I can’t ever see me roughly handling this lens. The range is a nice 50-100mm which covers a lot of the zoom range I would normally use every day on a shoot. Unlike the canon though, the Sigma is gasping for air when you do a focus pull which was very surprising. Image Quality wise the sigma 50-100mm is outstanding and competes with the 70-200mm f2.8 from Canon easily throughout its zoom range. That is on a tripod though. It’s a whole new ball game handheld as the lack of image stabilisation becomes not just apparent but a real problem. The autofocus is a lot slower than the canon but considering the price difference between the two of them, there has to be some trade-off. Unless your doing sports shooting, which I don’t recommend with the sigma 50-100mm, then you don’t need exceptionally high-speed autofocus. I use my 70-200mm as a second angle during interviews and it’s always a great lens for that. 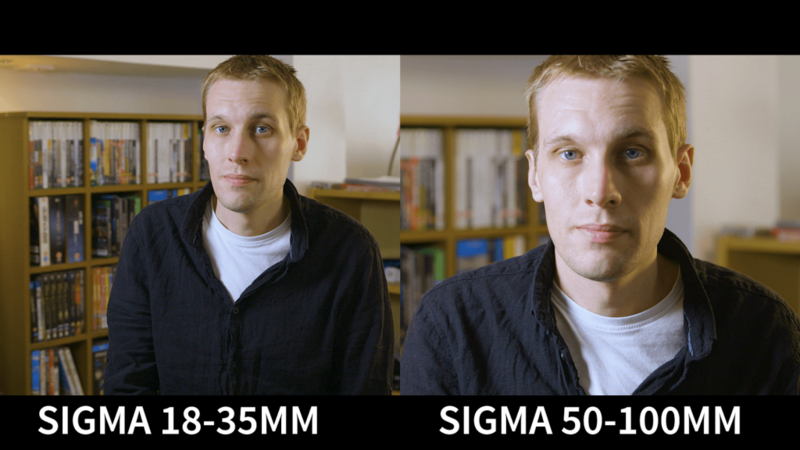 The Sigma 50-100mm is nearly as good in terms of its highlight roll off and detail and would be fantastic in use as a static second camera angle. Pairing it with its sister lens the 18-35 is great for interviews and I’m so close to jumping ship to do it. I feel a bit like I’m repeating myself when it comes to the 50-100mm because all the problems I had with the 18-35mm are right here in the 50-100mm and all of them would be solved if I had a camera with inbuilt body stabilisation but I don’t. If I did I would be retiring my Tamron 24-70 and picking up the 18-35mm but I wouldn’t pick up the 50-100mm. It’s not because I don’t like it, I really do, but my Canon 70-200mm has the upper hand with autofocus and stabilisation which I need and use on most shoots. 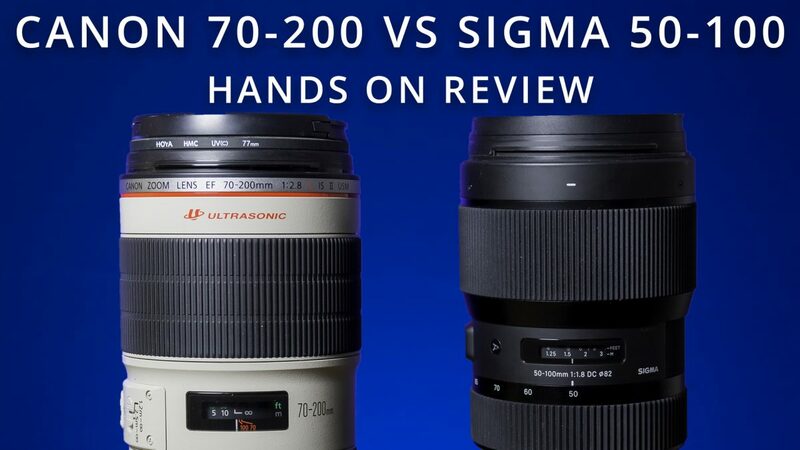 The sigma 50-100mm is a fantastic lens though and you’ll be happy with It, especially when using it with a mirrorless camera andSigma’ss own MC11 adapter.